At first it appears to be a simple case of domestic violence which ends in tragedy. But forensic pathologist Rosie Fergusson has misgivings. Disturbed by memories of another case early in her career, she is unable to shake off the suspicion that the victim may have taken her own life. But DI Alan McCauley, SIO on the case, is quite convinced it was murder, and soon has Peter Guilford, the dead woman's husband, is in custody. Enter Detective Superintendent William Lorimer, now head of a crack major investigation squad, and on the trail of a gang of people-traffickers whose leader is proving elusive. His sharp eyes spot a link between his own case and Peter Guilford's transport company with its fleet of vehicles – but before he can pursue it, a brutal attack puts Guilford in hospital. That's where things get really complicated. 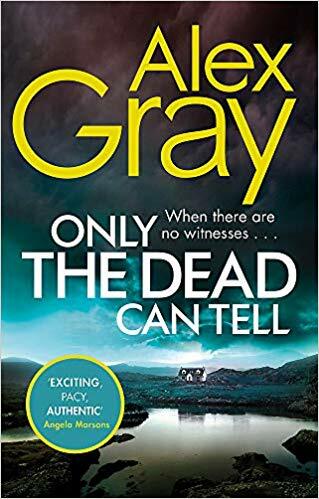 Lorimer enlists the help of his former sidekick DC Kirsty Wilson, who is part of the squad investigating the death of Guilford's wife, and psychologist Solly Brightman, who happens to be Rosie Fergusson's husband. Between them they unpick the mystery and rescue the trafficked girls, though not before an undercover officer is put in grave danger and several more people die. Meanwhile, away from work, all the leading players are living through interesting times. Rosie is heavily pregnant and fighting to ensure her department is left in safe hands during her maternity leave. Kirsty is chasing promotion and has a life-changing decision to make. Maggie, Lorimer's loyal wife, is harbouring a secret of her own, which may also prove life-changing. 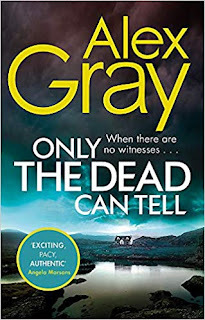 It's this domestic ordinariness, the day-to-day issues which have nothing to do with crime, that make Alex Gray's characters seem so real. Everyone, heroes and villains alike and even bit-part players, seems to breathe and bleed and feel real emotions; and there's a strong sense of life going on after the case is closed and the book has ended. The city of Glasgow is equally vivid, portrayed here in the summer time in all its splendour and squalor. Great background, characters you can touch and a rattling good story as well. What more could any crime fiction reader ask for? Alex Gray was born 27 May 1950 in Glasgow. She was brought up in the Craigbank area of Glasgow and attended Hutchesons' Grammar School. 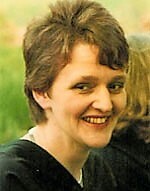 She studied English and Philosophy at Strathclyde University and worked for a period in the Department of Health & Social Security before training as an English teacher. In 1976 she lived in Rhodesia for three months, during which time she got married, and then she and her husband returned to Scotland. She continued teaching until the 1990s, when she gave the profession up and began to write full-time. Alex is a member of the Femmes Fatales crime writing trio, together with Alanna Knight and Lin Anderson. 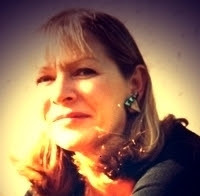 Her novels are all set around Glasgow and featuring the character of Detective Chief Inspector Lorimer and his psychological profiler Solomon Brightman.